Fresh from the critical success of The Girl with the Dragon Tattoo, Daniel Craig returns for the third time to the role of James Bond in Skyfall, due for release later this year. Just today, the first official image of Craig as Bond has appeared online. 2012 marks the 50th anniversary of the release of the first EON James Bond film, Dr. No. The film starred Sean Connery in the role of Bond and led to a grand success of 21 sequels thus far and many spin-offs including the Austin Powers franchise. The Bond franchise has seen actors Sean Connery, George Lazenby, Roger Moore, Timothy Dalton, Pierce Brosnan and of course, Daniel Craig in the role over the various years since 1962. The new film is presumed to have little to do with Craig’s previous two films and stars alongside Craig, Javier Bardem, Judi Dench, Ralph Fiennes, Albert Finney, Naomie Harris, Bérénice Marlohe and Ben Whishaw. The plot revolves around events bringing up the past of Bond’s superior, M (Dench) and an attack on MI6. It rests on the shoulders of Bond to destroy the threat to the organization, no matter what the cost. The film is due for release on November 9th, 2012 and is directed by Sam Mendes (American Beauty, Jarhead). 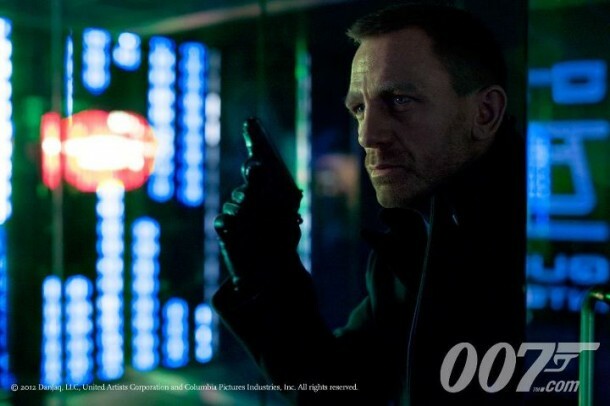 Comments for First Official Image of James Bond from “Skyfall” Released are now closed.